We are very pleased to announce that we are the distributor for WIX Filters in Singapore with immediate effect. WIX Filters has been an innovative leader in filtration products since its founding in 1939 in North Carolina, USA. With 11 facilities in eight countries, WIX manufacturers more than 210 million filters annually and has customers in over 80 countries with more than 3,500 employees globally. 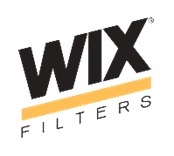 WIX Filters offers high-performance and high-quality filtration solutions. The WIX Filters portfolio includes a complete range of filters for automotive, industrial and marine applications. The automotive filters portfolio covers popular brands such as Toyota, Honda, Hyundai and Nissan while the industrial and marine filters portfolio covers well-known applications such as Cummins, Caterpillar, Perkins, Kobelco and others. Workshops, vehicle drivers, asset owners and fleet owners, with the need for high-quality filtration solutions will now be able to access WIX Filters from Griffin with local warehousing capabilities. Today, Griffin Filtration is able to offer a full-fledged product line of engine filtration products, namely: Oil, Air, Fuel, Cabin Air, Hydraulic, Coolant and Transmission filters under WIX Filters and Fuel Filter Water Separator under Griffin.